Deutsche Telekom is pushing ahead into cloud services and highlighting the value of partnerships with other cloud solution providers. The Deutsche Telekom Business Marketplace, which was launched in the summer of 2012, has now registered over 10,000 users have registered. As this year's CeBIT starts, over 40 applications from more than 20 partners are available, including applications to facilitate collaboration, manage projects and customers, and save data securely online. 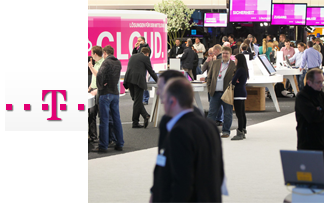 This is in addition to Telekom offers that are custom-tailored to the needs of SMEs - including videoconferencing applications from the cloud such as iMeet and TelePresence, dynamic IT resources from the private cloud such as managed IT services, a mobile device management solution to help manage mobile devices and their applications, and DeutschlandLAN, the cloud-based, TÜV-certified, end-to-end package for fixed-network, mobile and PC communications. "Products and services from the cloud for large companies, SMEs and consumers are a major part of Telekom's future strategy," says Dirk Backofen, who is responsible for cloud business at Deutsche Telekom. "We use the cloud to connect people, both in their personal lives and at work. We don't only supply the applications, but also give customers all cloud-related services from a single source: bandwidth, storage and computing capacity, applications, partner expertise, independence of a specific operating system, and high security. No other market player can make such an offer." Telekom's subsidiary T-Systems plans to achieve revenues of roughly one billion euros, or one seventh of its total revenue, with cloud business in 2015. Multi-year cloud orders worth two billion euros were received alone in 2012. On the cybersecurity front, Deutsche Telekom is now offering a dashboard for tracking the rising number of attacks. The website has a digital map of the world which shows the origin of cyber attacks recorded around the clock by more than 90 honeypot sensors around the world. The portal was developed in association with BITKOM and Germany's Federal Office for Information Security (BSI). Silicon Valley-based Hurricane Electric is the first Internet backbone to connect to over 2,000 IPv6 networks, doubling in less than three years. 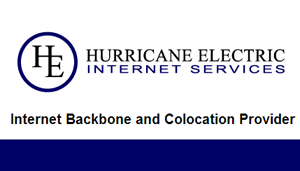 Having first deployed IPv6 in 2001, Hurricane Electric offers IPv6 as a core service; every customer is provided IPv6 connectivity as well as classic IPv4 connectivity. Hurricane Electric also provides tunnel broker and DNS services, plus a free IPv6 certification program. "Our early investment in IPv6 is paying off not only for Hurricane Electric, but also for our customers around the world," said Mike Leber, President of Hurricane Electric. "Given the depletion of the IPv4 address space, we expect continued strong growth in demand for IPv6 connectivity and services." Hurricane Electric has no less than four redundant paths crossing North America, two separate paths between the U.S. and Europe, and rings in Europe and Asia. MetroPCS Communications has selected Ericsson as the supplier of equipment and services to transform its distributed nationwide Evolved Packet Core network. The network deployment will enhance key services including high-speed data, voice over LTE (VoLTE) and Rich Communication Services for MetroPCS customers across the United States. Specifically, Ericsson will serve as the project's prime integrator with responsibility for design, installation and commissioning, and post-launch customer support. 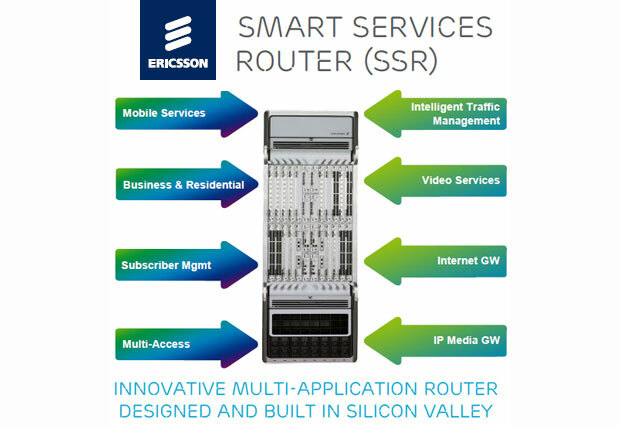 Integrated multi-technology operations support systems - allowing mobile operators to enhance network performance to support real-time operations, while lowering total cost of ownership with lower power consumption and a reduced footprint. "From the launch of our first LTE network and now our new core transformation project, Ericsson has long been a key strategic partner. We value the strength of Ericsson's product and service offerings, as well as its ability to provide fast and reliable rollouts of leading-edge technology," stated Roger D. Linquist, CEO and Chairman of the Board of MetroPCS. 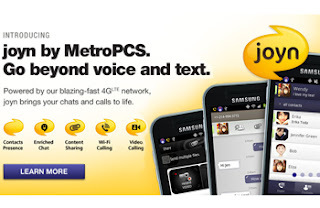 In January 2012, MetroPCS has selected Ericsson as primary vendor for microwave backhaul equipment under a new four-year contract. Ericsson is also a key infrastructure provider for the company's networks, including its LTE network. The America Connects to Europe project (ACE), managed by Indiana University, is planning to implement 100G links across the Atlantic to support the scientific research community. A Prior Information Notice has been issued to vendors to participate in the project. The America Connects to Europe Project (ACE) is a collaboration of Indiana University (IU) as the lead institution in cooperative partnership with DANTE, NYSERNet, and Internet2. 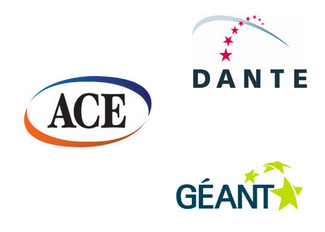 DANTE is the organization that operates GÉANT, the data communications network support many research projects in Europe. DANTE noted that 100G is presently being rolled out across the GÉANT infrastructure. Between them GÉANT and ACE already offer over 80Gbps of transatlantic connectivity, however this is comprised of multiple 10G links and will lead to bottlenecks in the future for those 100G users. For that reason, DANTE aims to replace these over time with multiple 100G links, ensuring that partners in large research projects in areas such as radio astronomy, global earth observation, medical research and particle physics continue to benefit from the best available connectivity. 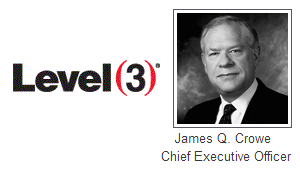 James Q. Crowe will step down as CEO of Level 3 Communications by the end of 2013. "It has been a privilege to lead Level 3's incredibly talented people through times of great challenge and great opportunity," said Crowe. "I am extraordinarily proud of what we have accomplished together. For some time, the Board and I have been considering CEO succession. Given the company's financial and operational strength, we have concluded that it is an appropriate time to begin the transition to new leadership with new perspectives. " 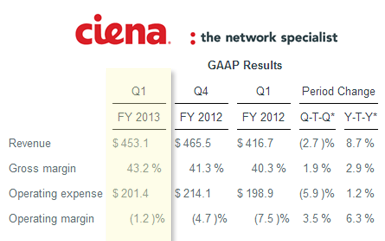 Ciena reported solid results for its first quarter of fiscal 2013, ended January 31, 2013, with revenue of $453.1 million. There was a GAAP net loss for the fiscal first quarter 2013 of $(47.3) million, or $(0.47) per common share, which compares to a GAAP net loss of $(47.7) million, or $(0.49) per common share, for the fiscal first quarter 2012. "Our strong first quarter performance reflects a solid start to our fiscal year," said Gary Smith, president and CEO of Ciena. “We have positioned Ciena to take advantage of the underlying market dynamics, which are increasingly aligned with our strategy and competitive strengths. We believe the combination of our technology and market share leadership as well as our strategic customer relationships will enable us to continue growing faster than the market." Sales of the 6500 platform reached $206 million for the quarter. Ixia will serve as the official test house to qualify Microsoft's Lync application against Wi-Fi networking and client devices. Ixia will work directly with potential Microsoft partners to test and qualify technology used with the Microsoft Lync UC system. "With tablets and smartphones embedded in our everyday lives, Wi-Fi access to collaboration tools has become an integral part of today's enterprises; however, poor quality over Wi-Fi has slowed that adoption. Microsoft is dedicated to ensuring our customers' success, and qualifying the devices in the Lync Wi-Fi ecosystem is a major driver to enabling needed enterprise collaboration," said B.J. Haberkorn, director of Lync Product Marketing at Microsoft. "Collaborating with Ixia to provide comprehensive, real-world Wi-Fi testing ensures that the power of Lync can be securely and reliably delivered to our customers." Pertino, a start-up based in Los Gatos, California, raised $20 million in Series B funding for its cloud networking service. Recently, Pertino launched a limited release of a cloud-based "network engine" for small-to-medium businesses. The idea is to use cloud programmability to instantly create secure networks using existing gear. The Pertino service allows customers to build a free network for up to three members with three devices each, and then pay only $10 per member per month as they grow. The funding round was led by new investor Jafco Ventures with participation from existing investors, including Norwest Venture Partners and Lightspeed Venture Partners. This latest round of funding brings Pertino’s total amount raised to $28.85 million. PEER 1, a global Web hosting provider, has deployed Juniper's integrated routing, switching and security technology in its U.K. data center. Juniper said its solution helps PEER 1 to reduce its downtime in its flagship green data center in Portsmouth by approximately 33 percent compared to previous legacy systems. All Juniper solutions in the PEER 1 network run the same Junos operating system. PEER 1's data center deployment uses Juniper Networks EX Series Ethernet Switches with Virtual Chassis technology as distribution devices beneath the core level handling most of its routing changes. The Virtual Chassis technology enables multiple interconnected switches to operate as a single, logical device resulting in simplified management by reducing the number of switches needed. Juniper Networks MX Series 3D Universal Edge Routers interconnect to PEER 1's FastFiber Network and to the London Internet Exchange (LINX) for high-speed Internet access. The MX Series routers have been used at PEER 1's edge and core levels terminating transport links and learning global routing tables. The company's Internet-facing services are protected by Juniper Networks SRX Series Services Gateways, ensuring the services are operational and secure without degrading the end customers' Internet experience. The deployment has been implemented by Juniper Networks' local partner, Calyx Managed Services.